You get a new revenue stream. We make it easy. For the past 30 years Georgia Expo has partnered with hotels throughout the United States to understand their event needs. There are many benefits to purchasing products directly from the manufacturer. We even offer comprehensive “starter kits” to help you get into the practice of owning/using Pipe and Drape and event equipment. As a hotel professional, you may have a number of questions. Where do I get started? How do I store and transport this equipment? Who sets it all up? To answer these questions, we’ve built this page specifically for you! Learn how to eliminate the middle man, use your existing staff, and create a brand new revenue stream for your business. Browse the product applications below, use our how-to videos to see how easy it is to get started, and call or email our dedicated account executives. Get started today, and see for yourself how quickly this investment can produce an ROI after just a few uses. “I don’t know what to order”. 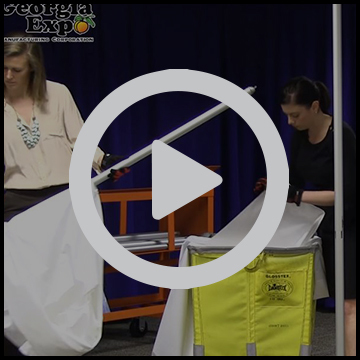 “How do I set it up?” “What do I need to get started in Pipe and Drape?” Georgia Expo makes it very easy to select the best equipment for your hotel. 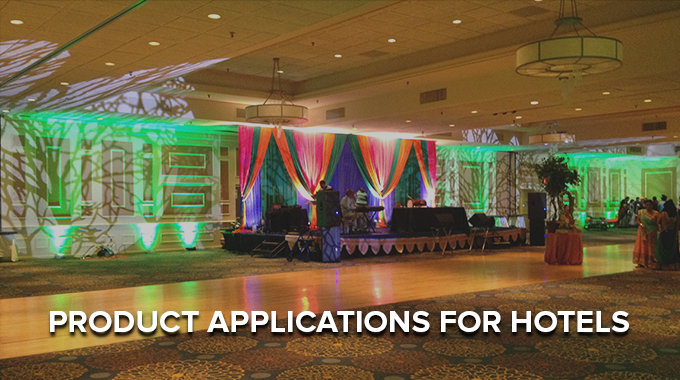 Check out our “Pipe and Drape Kits” that include all the components you need to beautifully decorate your space. Each kit includes a “How to Set Up” video, which can guide your staff through each step of the (simple) set up process. Elegant, high-quality drapes and fabrics can enhance and complement the décor of your hotel. We employ over 30 full-time American seamstresses, who will hand-sew your drapes to meet and exceed your quality expectations. 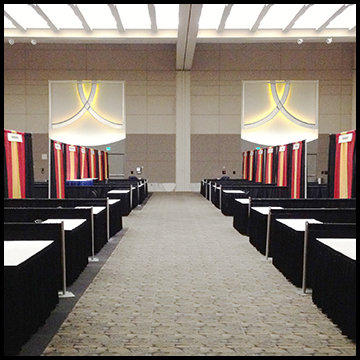 Georgia Expo offers a diverse array of fabric types and colors to meet any hotel’s departmental applications. Need a custom color to match your existing branding and color schemes? 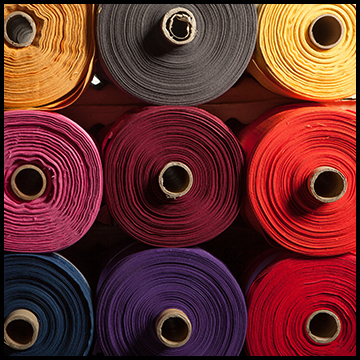 Just send us a sample of the color(s) used in your hotel- we can color match fabrics and drapes specifically for your unique decorating requirements. 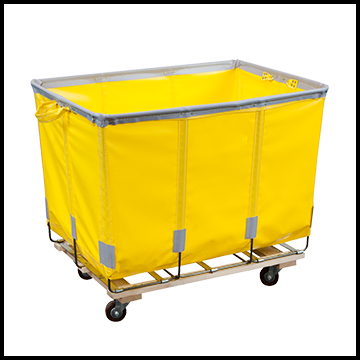 “Where can I store all of my pipe and drape equipment when it isn’t being utilized?” Our Combo Carts are the best way to store and transport pipes, bases, drapes, and other event accessories. 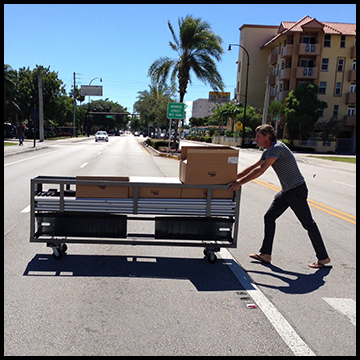 Each combo cart dolly is made with rugged welded steel frames to provide years of dependable service. While each cart is capable of transporting/storing an amazing 3,600 lbs of products, its footprint is compact allowing it to be conveniently stored in existing hotel storage space. Need to block off space that is under repair or renovation? 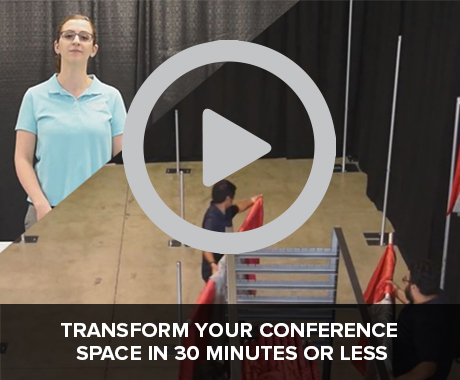 Want to guide guest traffic to a specific meeting room or event? Looking to organize large groups waiting to enter a restaurant or check in to the hotel/business meeting? 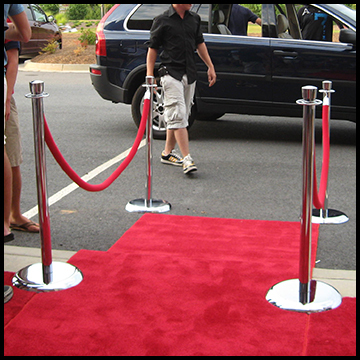 Let our comprehensive line of stanchions help you define space…with a classy appearance…at a great price. Effective communication is vital for the guest experience. You can easily place guest communications on easels outside of meeting rooms, in front of the restaurant, at guest check-in, or any other location where you have a message to deliver. 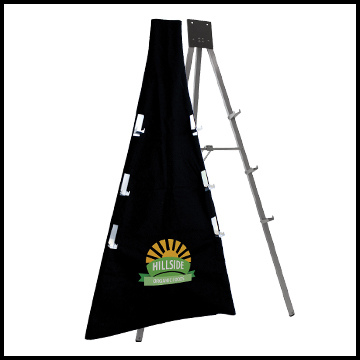 Easels can also be wrapped in customized easel covers for a sharp, brand-enhancing appearance. You’ve worked hard to define and develop your brand. 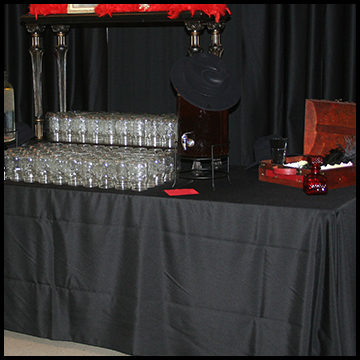 Prominently display your brand at guest events using our sleek and stylish fitted table covers. These table covers can be customized with a full color logo, monogram or any photographic image, making them a must-have for those special events. 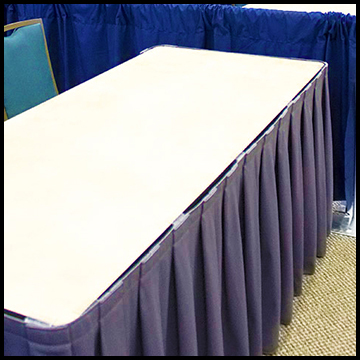 Available in sizes that fit 4’, 6’ or 8’ tables, these custom covers can be washed after each use without losing any of their image quality. Add a professional and polished look to your tables and stages with skirting products. 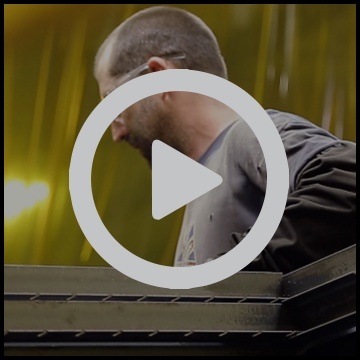 Available in a wide variety of color, fabric, and pleating options, these items are hand-made in our manufacturing facility to ensure you receive the level of quality that only American workers can deliver. 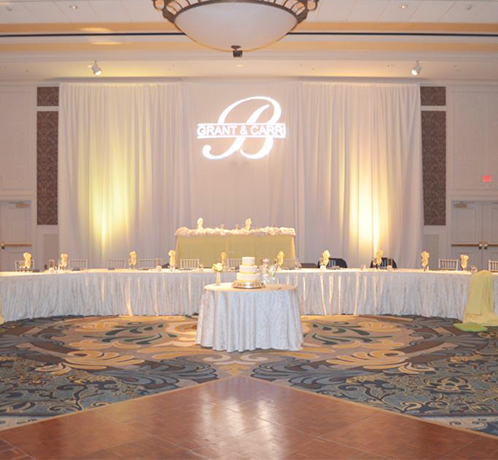 Skirting is a “must-have” accessory for important guest events such as weddings, trade shows, banquets, job fairs, and all other special events. Protect a new table or give an old table a fresh new look with vinyl. Sold and shipped in 50 and 100 lb. 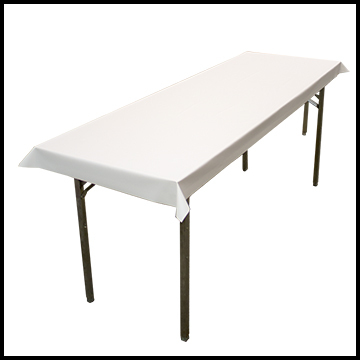 rolls and 29” and 34.5” widths, our vinyl can be easily rolled out, cut and secured to the table via clips or staples. Tough enough for outdoor use, our table vinyl will wipe clean easily. These vinyl rolls are Taffeta embossed for a crisp, clean appearance- this product is also flame resistant for improved guest safety. The hotel workplace is fast-paced. There’s always a lot of work to do, and not a lot of time to do it. Let our extensive line of drape hampers help improve the productivity of your staff. 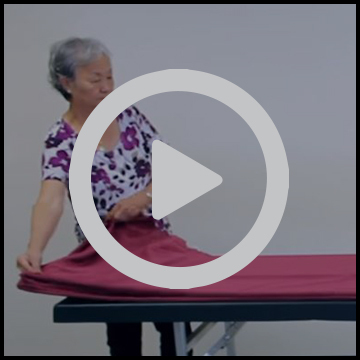 Need to quickly transport a large quantity of drapes to a ballroom for an event…or take the drapes to the laundry for washing? Drape hampers are the solution- each hamper can hold up to 150 pounds of drape!